I am really not sure if this is something you and/or your organization would be interested in. 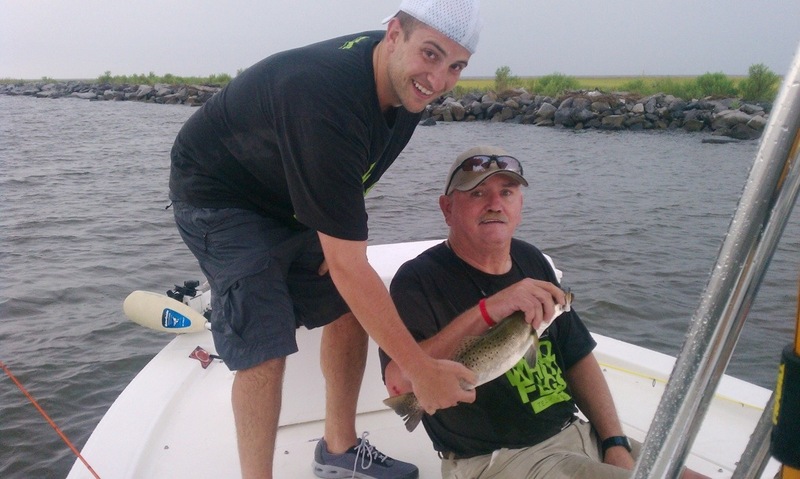 However I would like to offer to take a family with a member stricken with ALS on a fishing trip. 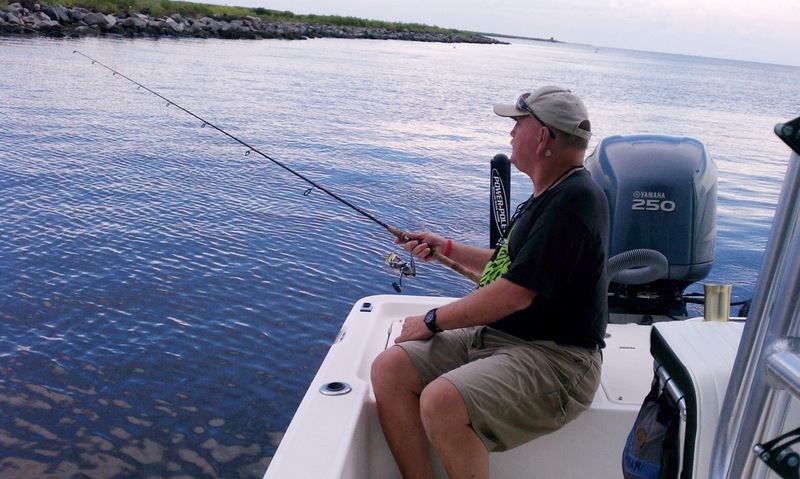 I envision taking a father and son/sons inshore fishing for redfish and trout. If it works out we can arrange to do more trips. I realize that we would have to be careful in selecting who could make such a trip. I am thinking that it would be a nice thing for a father to enjoy with his family. I had a close life long friend who had ALS and passed away several years ago. Watching his symptoms progress was one of the hardest things I have ever witnessed. Watching how his family dealt with it all was truly humbling. In any event I made a promise to him to take his son hunting and fishing as he grew up. He wanted him to enjoy some of the things that we enjoyed as kids together. Turns out that his son had no interest in fishing or hunting and that is of course fine. I would however like to fulfill my promise through some other families who might like to make such a trip. I live in the New Orleans area and have several boats. I would of course supply everything needed for the trips. I have several friends who would also like to join in as well if you think that it may help your foundation. Please let me know if you think this might help. So, we contacted Kelly Viator and Sherry Oliveto with the ALS Association and they found us a perfect candidate for the trip. Besides for the hotel room purchased by TGIF, Ben provided everything! We are totally inspired by him. The crew: Jimmy and his son, Jimbo. Ben Laws and his son, BJ. Big thanks to Ben Laws for being an awesome guy and a new member of Team Gleason. 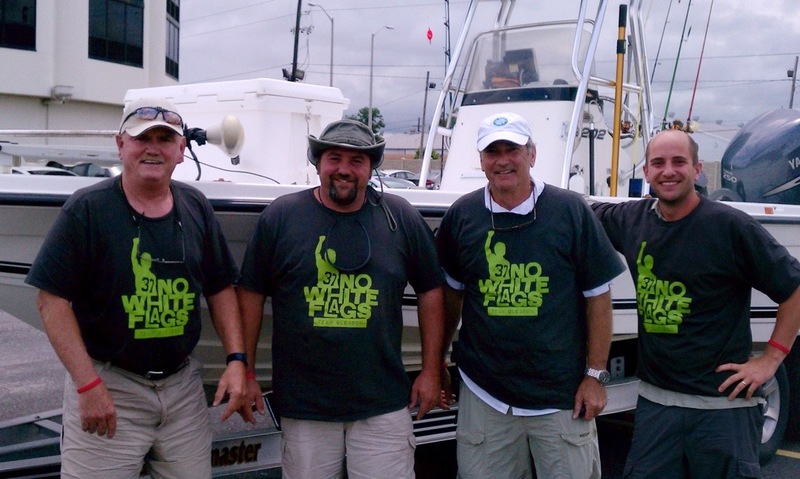 “I want to thank everyone for helping to get this first fishing trip on the water. 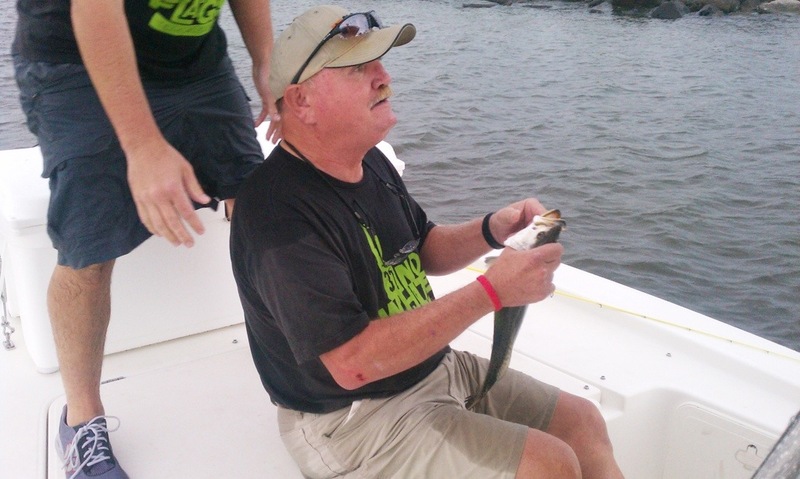 BJ and I had a wonderful time fishing with Jimmy and Jimbo. The weather was not so great but the company was as good as it gets. I wish that we could have caught more fish but that is why it is called fishing. The good news is that the poor weather conditions made it a lot cooler for us. We did catch some fish and missed a lot more. Attached are some photos of the trip. I will send them is a few batches so the downloads will work better. Kelly you were spot on about Jimmy. He is truly a remarkable man. His outlook on life is wonderful. He loves to tell stories and just spend time with people. He finds the good in everything and everyone. I really think that he could carry on a length conversation with a telephone pole in the dead of winter. We were all getting a bit frustrated with the fishing as they were nibbling and not biting. This made it hard to set the hook. BJ was up on the bow of the boat with Jimmy who was sitting on the deck and had missed several bites in a row and must have gotten a bit anxious. On the next bite (nibble) Jimmy gave the rod a huge jerk that was so hard he rolled over on his back. 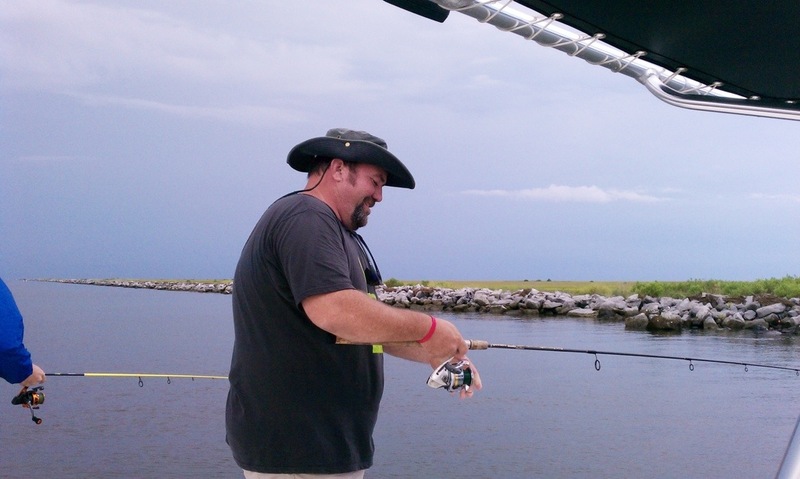 I could see the fear in BJ’s eyes and both Jimbo and I ran to the bow of the boat at the same time. When we got there BJ was holding Jimmy’s hands trying to pull him back up to a seated position. But his arms were shaking and BJ was having trouble getting him up. I was getting really worried by this time when I looked at Jimmy’s face and realized that his arms were shaking because he was laughing so much. All he said was “Did I miss that damn fish again!!”. We all sat down laughing so much that we were crying. I think I peed on myself but thankfully due to the continuous rain no one could tell. Then we all realized that Jimmy was still on his back and needed our assistance. Simply one of those priceless moments that I will never forget. Oh, we did get Jimmy back into fishing position. Jimbo was always looking after his dad through the entire trip. It is clear that if nothing else this awful thing has brought them closer together. Their relationship is wonderful to see and admire. Even though we had poor weather and slow fishing conditions (everyone I talked to had a slow day as well) we did have a great time. I think that Jimmy and Jimbo really enjoyed the trip. Spending time with good people like them can only bring my sons and I closer as well. We are looking forward to another trip if everyone thinks it is worth continuing.